Magnatech has engineered hundreds of custom design solutions over forty years. 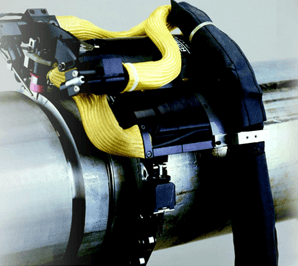 There are many pipe and tube welding applications for which a standard Magnatech LLC system cannot be used. Spatial constraints, workpiece geometry, and proposed use of equipment in hazardous conditions requiring remote operation are but a few of the reasons custom engineering may be required. Magnatech LLC has engineered hundreds of custom design solutions since our business was founded in 1946. Often, minor changes to weld head design, electronic controls and software are all that is required. Other challenges involve the engineering of an entirely new system with specialized accessories. 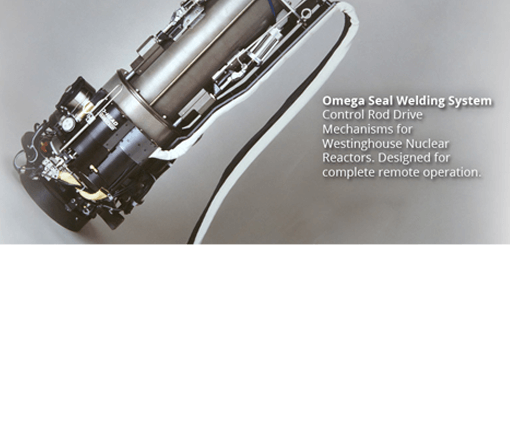 The construction and maintenance of nuclear power plants dictates the need for unique pipe welding. An example is the need for remotely controlled welding, where manual welders have limited access due to radiation levels. The weld heads may be required to be located and mounted by remotely operable devices. Video Arc Monitoring systems incorporating miniature video cameras with special filtering allow an operator to view the workpiece before welding to observe fit up; monitor the weld puddle during welding; and visually inspect the completed weld. The Swedish nuclear utility, Forsmark, is upgrading piping systems and components. Many of these maintenance operations are done in areas of low radiation, but still requiring efforts to minimize operator exposure. Many welds have to be done on smaller diameter (less than 168mm/6") piping with minimal clearances. Forsmark personnel developed weld techniques to minimize heat input, and using a special narrow groove geometry. Magnatech supplied a Pipemaster/D-Head system. The head was equipped with a Video Arc Monitoring (VAM) system to allow the welder to view the welding puddle (both in front of and behind the arc) using two LCD displays. The welder operates the equipment remotely from a location shielded from radiation. The low profile of the weld head allowed access to the welds. The repetitive precision of the Pipemaster power source guarantees that parameters never deviate from weld procedures developed to minimize heat input. 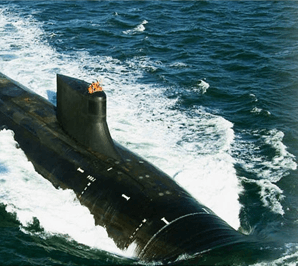 A critical valve in a submarine's nuclear power plant requires possible maintenance requiring fillet welds. The fillet welds are located on either side of a weld joint, requiring the torch to be capable of angling from +60 degrees to -60 degrees. The Navy Shipyard determined that it was insufficient to simply angle the torch; the axis of the electronic Arc Voltage Control mechanism that maintains arc length had to be angled for successful welding. Magnatech Engineering designed two plug-in mechanical modules. These allowed the torch and the motion axis to be tilted from the normal torch perpendicular position (0) to -60 degrees. A second module allowed the welders to set any angle from 0 to +60 degrees.